Those long calf boots look very attractive on others but when do I wear, they slouch. Is it the case with you? Don't fret; it is the case with everyone, and I will tell you everything about how to keep your boots from slouching at the ankles while wearing. BootBra The BEST Solution To Keep Boots From Slouching! The ONLY Product That Keeps Boots Upright During Wear All Day Long! No More Bunching Around the Ankles! No More Saggy Boots! Long boots are favourite among both men and women and attracts the attention of others. In men, it conveys authority and in women, it acts as a centre of attraction. But the folds around ankle ruin the both. The problem is more severe for fashion footwear as they are manufactured with some soft leather. On the other hand, the work boots are made up of strong and sturdy leather so slouching occurs much later in them. A Suede material is many times softer than leather so slouching occurs sooner. No worries, there are workarounds for every type of footwear to avoid them slouch at the ankle. 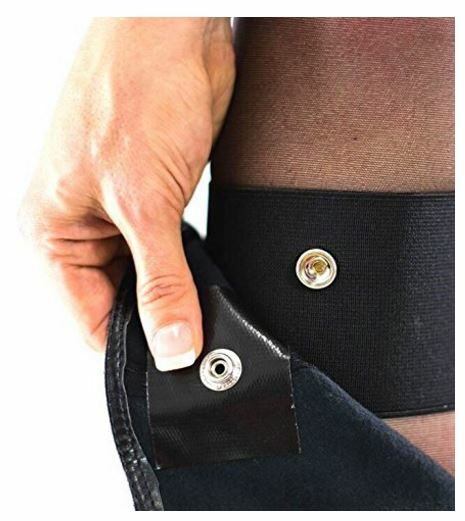 Prevents boots from slouching and sagging. Let me tell you a bitter truth. Regardless of the quality or the manufacturer, almost every pair of boot that has a collar up or high shaft construction is sure to slouch at the ankle unless you are ready to burn $1000s of dollars to buy a stellar quality pair. An average person like I or possibly yourself, usually, buy a pair within a couple of hundred dollars range or so. Sooner or later, such boots will show slouching. Although you can't avoid the slouching to happen, you can delay it and once it's there you can combat it with a few simple steps. I will explain those tricks later in this article but first, understand why do boots slouch at ankles. The leather boots soften up gradually with wearing. Once the leather is too soften to sustain the weight of the shaft, it collapses on its own, and the slouching occurs. By the way, it is ethical as if the leather boots are as hard as a metal and never gets wrinkles, scrunches or bends, etc., it will be impossible to wear them. 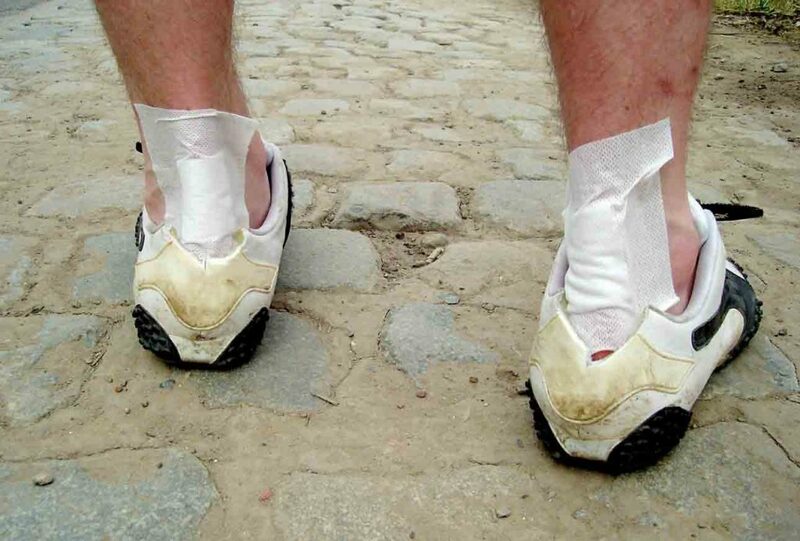 Once you buy a new pair, they are tough and needs a few days to break in and soften up. During this break in period, the boots mould themselves according to the feet contour to provide comfort and flexibility. It's normal if you see a few wrinkles, especially around the ankle and ball area, but slouching or bunching can't be tolerated. Your feet fitting against the boot size is very crucial. If the boots are snug, especially at calf and ankle area, there are a lot lesser chances for slouching, as the shaft's weight is distributed. ​Modern manufacturer mentions such measurements in the specifications. Do check the calf circumference and the ankle area's width so as you can buy as snug-fitting as possible. The calf is most wide at three fingers down to the knee. Remember, I am advocating a snug fitting, it doesn't mean that you should buy a downsize pair. If you buy a tight-fit pair, It will only hurt your feet and may lead to some painful blisters. Another reason it that you might not be storing the boots the right way. Yes, you heard right. 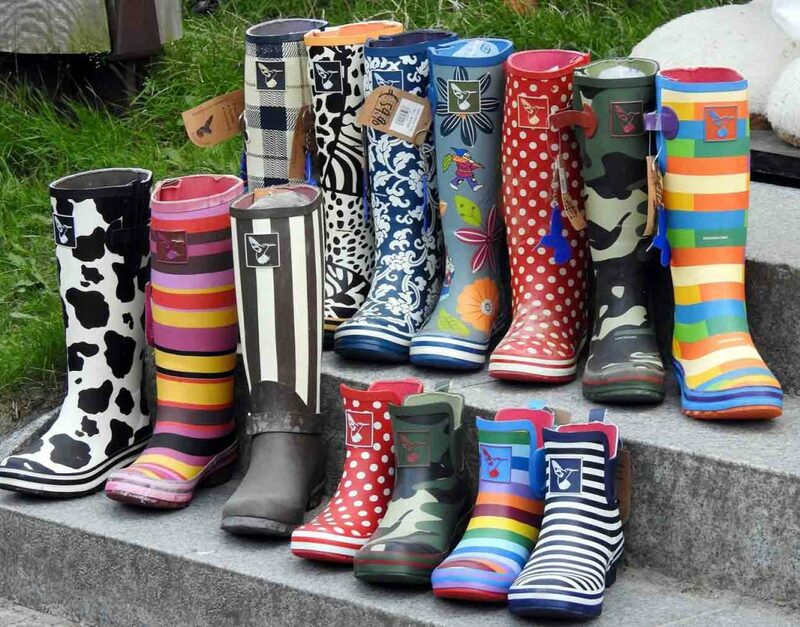 If you have long calf boots, no matter if they are sturdy riding boots or the fashion footwear, do not keep them empty. Otherwise, the shaft may bend on either side or collapse on its own. It makes slouched folds a permanent part of the pair. Instead, place a pool noodle in the boot to keep the calf area standing erect or, at least, place a rolled magazine inside. Moreover, there is some specifically designed boot straighter available at stores. Additionally, don't put the boots on the floor or in a laid manner. Otherwise, they are sure to bend on one side. As a best practice, place them on a shelf with a filling inside to keep the shaft straight. Those are the primary reasons for the slouching around the ankles to happen. As a critical take, wrinkles and scrunches are the first phase and are pretty unavoidable. In fact, lines must occur as they indicate the boot has gone through the break in period and is ready to wear. But if the leather becomes too soft, around the ankle area, to support the calf, it's serious trouble. Not only the slouching looks bad visually but also damages the leather and turns the wrinkles and folds into cracks and tear. Such cracks or tears are irreparable and demand to change the pair. Either you will have to take a few measures to combat the situation, or you will end up changing your pair or, sometimes, changing your style as well and choosing small neck footwear. Relax, there are some solutions. Wear A Metallic Strap: This is perhaps the simplest solution. Many metallic straps are available in the market to support the slouched area of leather boots. The leather below the ankle (heel area) and above the ankle (calf area) usually retain their toughness and remain sturdy. It is the ankle area that loses its strength and invites the slouching. So a hard strap is used to bridge the area. One end of the plate is attached to the heel area and the other to the shaft. That resolves the slouching dilemma as the weight is sustained by the metallic strap and not by the ankle leather. Each strap is usable for 10 or so wearing. Titch With A Snap Strap: It acts same as a metallic belt but a bit different way. You need to wrap a band, below the knee or above the knee depending upon the length of the boot shaft. The top of the shaft is then locked with the band using a snap button. The male part of the snap button is stitched on the inner side of the boot shaft, and the female part of the snap button is stitched on the band. It will keep the pair erect and slouch-free. Custom Rigid Boots: If your feet measurement is weird, especially if you have too small or too big ankles or even a slender ankle, you must not hesitate to raise the financial bar and to order a custom fit pair. Although it will cost you higher yet, it's the way to go, or you will see slouching around the ankle area. Even if you combat the slouching with supporters, the significant gap between the leather and the ankle will cause some bumps or dents. Find a good manufacturer in your area or order online. Change Your Style: If it suits your style, you must buy a pair that has a shaft with a zip or laces. 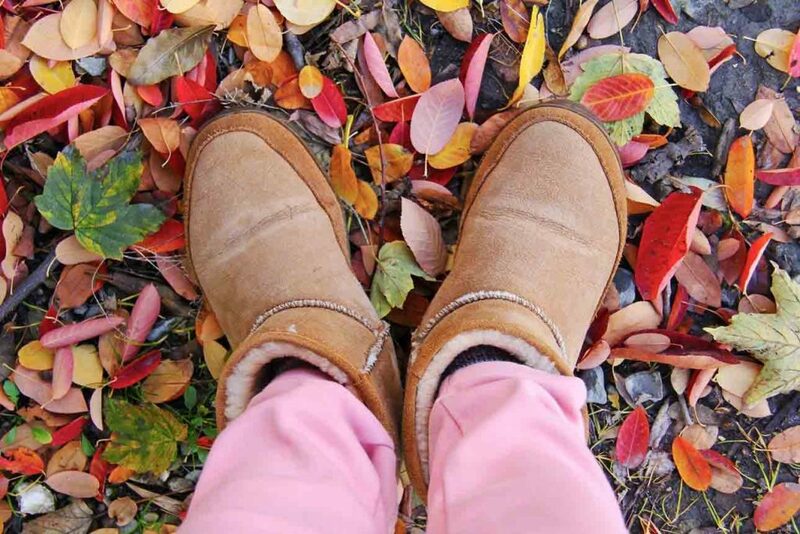 They act as natural supporters and helps to fasten the boot snugly with the leg contour. There is a little loose area so chances of slouching reduce significantly. As an another option, you can also choose a stretch boots as they are known to fit every contour of the body. Find A Cobbler: If the difference is minor, a skilled cobbler can do the job to make the pair snug correctly. Find a reputed shoe repair shop or a seasoned cobbler in your area and leave it up to his expertise. Especially, if you have a narrow calf, he can do wonder with altering the shaft according to your fitting. Wear A Narrow Pants: It is a weird solution, but it works. If you wear your pants over the boots, try narrow bottom jeans. It will fasten the boot calf tightly keeping it in place. It's an easy way to avoid boot slouching. Wear A Thick Pair Of Socks: The leg skin, especially in the case of women, is soft and smooth that allows the boot leather to slide down. Wear a thigh-high pair of socks that is made of a thick fabric. It creates considerable friction between the skin of the leg and the leather. It reduces the slouching nature of the leather by 50%. Congrats! 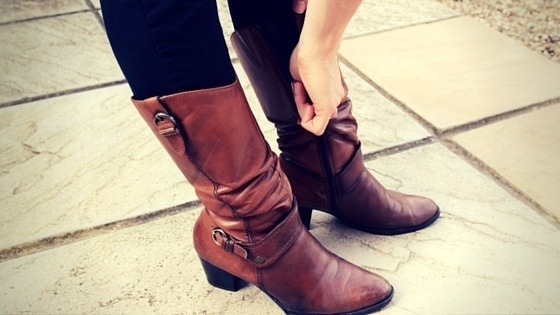 You know some tricks on how to keep your boots from slouching at the ankles. It is an unavoidable phase of a long neck boots, yet you can take some proactive steps to minimize the dilemma. Knowing the facts are not enough, and you must be ready to put some extra care into your pair once it shows the sign of slouching otherwise it will soon tear the area apart making you dump the boots. Also, keep in mind that the same solutions are applicable for both leather boots and suede boots. 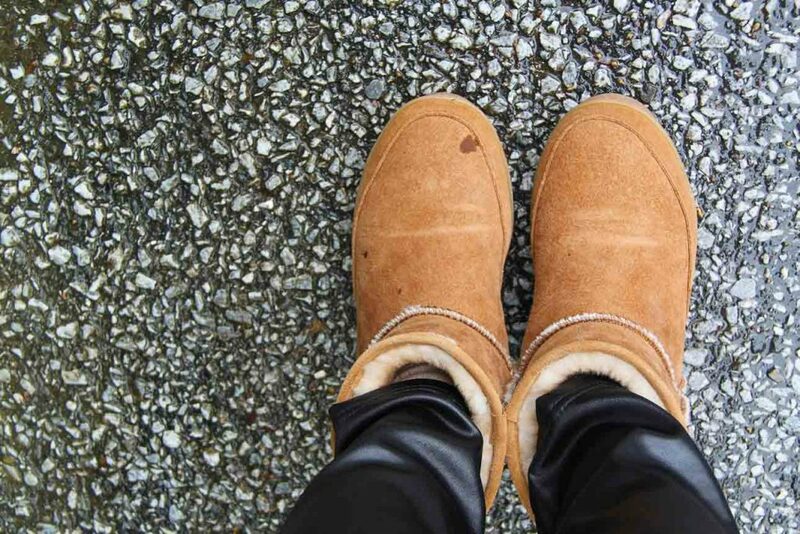 You don't need some additional measures for treating suede boots against the slouches.